Twitter sparked headlines this week as Kanye West tweeted his intentions to open an architecture firm, while Elon Musk announced plans to create bricks for affordable housing on the social media platform. Rapper and fashion designer Kanye West put a call out on Twitter for "architects and industrial designers who want to make the world better," after revealing he was set to open an architecture arm of his successful fashion label Yeezy. Tesla and Space X founder Elon Musk also whipped up excitement on social media this week, as he tweeted plans to create bricks for low-cost housing using the earth removed during tunnel digging for a transport system in California. Bjarke Ingels made headlines this week, as it emerged he was joining co-working company WeWork as it's chief architect. Ingels will continue to head up his own architecture firm BIG, which he founded in 2005. British set designer Es Devlin was in the news as she expressed her dissatisfaction with the "weirdly trippy" inconsistencies between architectural renderings and completed projects during an interview with Dezeen. First Lady of the United States Melania Trump made her design debut with a "clean-lined" logo created for her Be Best initiative, a policy platform dedicated to promoting well-being and fighting opioid abuse. Theresa May praised the importance of UK architects in her first speech about the creative industries, on the same day prominent artists including Tracey Emin and Anish Kapoor attacked the government over a decline in arts education. In architecture news, RIBA announced their Awards for International Excellence 2018 winners. Among the 20 buildings to be honoured was Museum Voorlinden in the Netherlands and a metro station in Budapest. Also, this week, it emerged that Adjaye Associates, Faye Toogood, Skene Catling de la Peña, and Carl Turner Architects had been commissioned by London property start up Cube Haus to design affordable modular houses for awkward sites. Trend forecasting service WGSN revealed that a shade of pastel green, named "neo mint", would be dominating fashion and interior design in 2020, as a colour "that aligns science and technology with nature." In other design news, car manufacturer Ford unveiled its Feel the View smart window, which allows blind passengers to experience views by touching the surface to build an image of their surroundings via haptic feedback. Popular projects on Dezeen this week included a home in rural Mexico formed by nine black concrete boxes, a Danish costal home with earthy tones by Norm Architects and Uber's drone-like prototypes for an aerial taxi service coming in 2023. 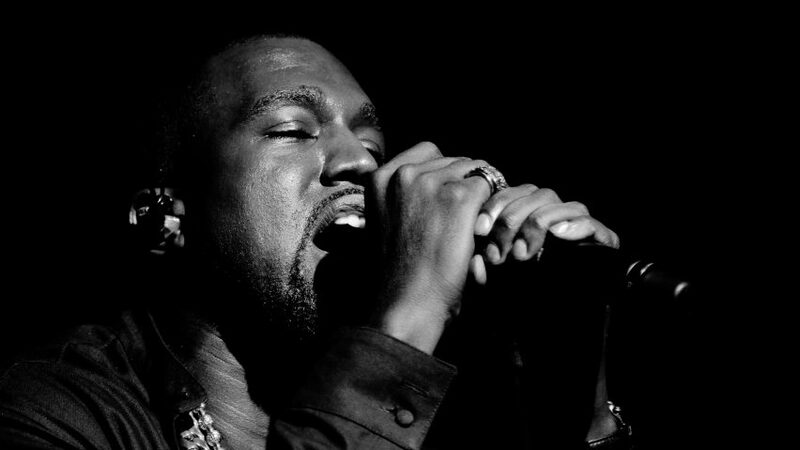 Photograph of Kanye West courtesy of Flickr user Kenny Sun.